When Wales volleyball player Mark Colbourne broke his back in a serious paragliding accident in 2009, he thought his sporting career was over. 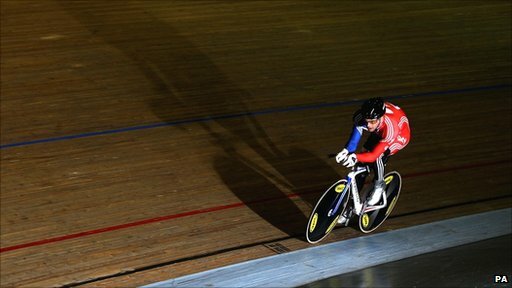 But the 42-year-old, speaking to School Reporters from Duffryn High School in Newport, is about to head to Los Angeles as a member of the ParalympicsGB para-cycling team, competing in a key qualification event for the 2012 Paralympics. The School Reporters were keen to find out what drove Colbourne to take up an entirely new discipline and learned that you don't necessarily need "bum muscles" to ride a bike! Making a Big Splash in Salford! When the Hoff met School Report!